Unlocking employee capabilities have become a challenge for organizations across the world. With growing emphasis on evolving future leaders from the organization rather than hiring from outside, the need to train, retain and educate employees is great one. And to accomplish this goal, companies are no longer taking the road of traditional education and training programs. It is known fact that traditional mediums of instruction doesn’t appeal to working professionals. Employees are equally resistive of training sessions organized outside workplace which are also a big drain in company resources. eLearning driven training methodologies on the other hand capitalizes on visual, audio and interactive content to make the audience pay attention and retain lessons. This means learning in an open and relaxed environment. Books, notes, and other forms of lengthy literature rarely work for working professionals. What they need is highly targeted content tailored to workforce requirements. eLearning has made this possible for organizations across the globe. Corporate content solution providers compress training material, and offer it to employees in interactive media which can be consumed in small digitally powered sessions, and independently as well. Employee productivity and performance based sessions also give better results this way. eLearning has given more power in the hands of educators and trainers. They can plan interactive sessions to ensure better understanding and mind recall. This is crucial for employees, considering most of them no longer feel comfortable sitting in a classroom like environment. 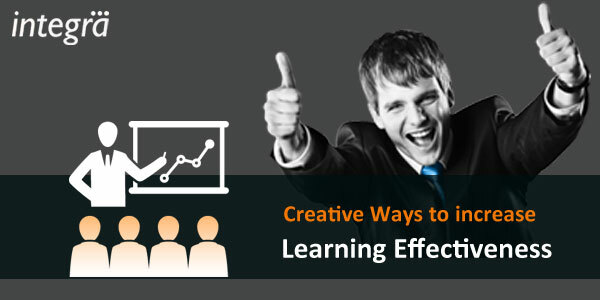 Interactive sessions tailored as per audience’s training needs can lead to enhanced learning. And this is exactly what employers need to build future CEOs. Companies often struggle with time and cost variables when it comes to training workforce. This is especially true for small and mid size businesses. eLearning eliminate this limitation by offering cost-effective technology driven solutions. Another big advantage that eLearning solutions bring is flexibility. All the above listed factors help organizations put in place training machinery that improve productivity as well as overall performance. This is the reason why small as well as global brands are embracing technology driven training solutions over traditional ones. Check out services frequently deployed by businesses for internal training and employee growth.